My name is Siobhan from The Hunrgy Bird, and although I am not new to the blogging community, The Hungry Bird is a whole new blog I have started so this particular blog is pretty fresh only being a few weeks old in the bloggersphere. I'm a huge fan of lifestyle blogs, as I love the variety of the posts and being the nosey neighbour I am, I love having an insight into other peoples lives, and being inspired by other bloggers lifestyles. 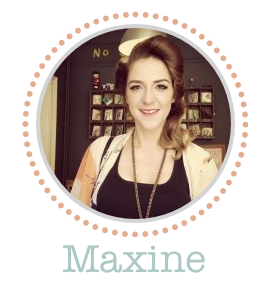 This is why it is a privilidge for me to share my own insights on Maxine's blog here. In recent months I've learnt just how important it is to look after my skin. Whilst I was studying full time at uni and working three part time jobs, as you can imagine I didn't really have time for a full skin care routine. It was a case of soap and water in the morning and a face wipe to take my makeup off in the evening...NOT GOOD! Now I'm working full time and have a little more time and money on my hands, over the past few months I have been able to invest in a full skin care routine. Now, because of my job and the hours I work, I pay particular attention to my evening skin care routine. I have to be in the office at 8:00am Monday to Friday, so I'm up for 6:00am during the week, then there is that little thing called life in between, which doesn't usually see me going to bed before 11:00pm. As you can imagine, my busy life and often lack of sleep can leave my skin looking dull and lifeless, which I imagine can be the case for other women out there, be they career women, mothers, or both! I personally don't think it matters at this stage what sort of makeup remover you use, so long as your chosen product does it's job in removing the excess makeup from your face. My personal favourite is the Bioderma Crealine H2O makeup remover, as it dissolves the makeup when removing it instead of smearing it over your face. However this is a French product, which cannot be purchased in stores in the UK. 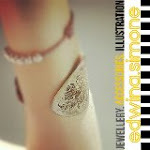 I purchase mine from sellers on Ebay, but this usually comes at a cost of around £14.00 - £16.00. Not cheap! 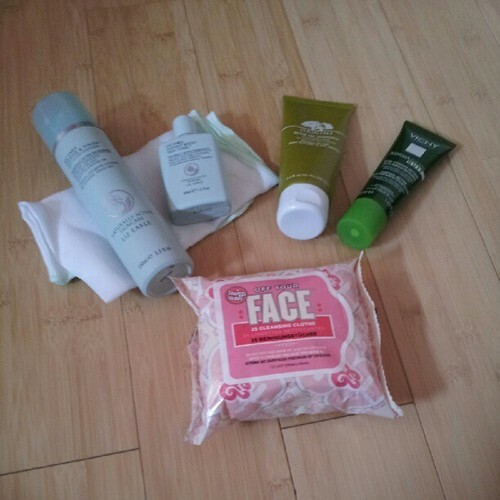 When I'm on the move I just use face wipes so as not to risk spilling my pricey Bioderma (this is out of experience!). 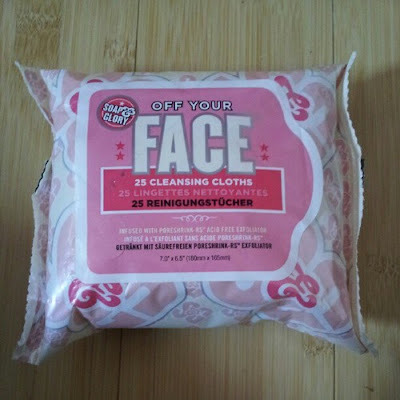 This week I'm house sitting for my aunty whilst she is at a wedding in Cyprus, so I have brought along with me the Soap & Glory facial cleansing wipes, which do the job just nicely, and cost me a mere £4.50 from my local Boots store. 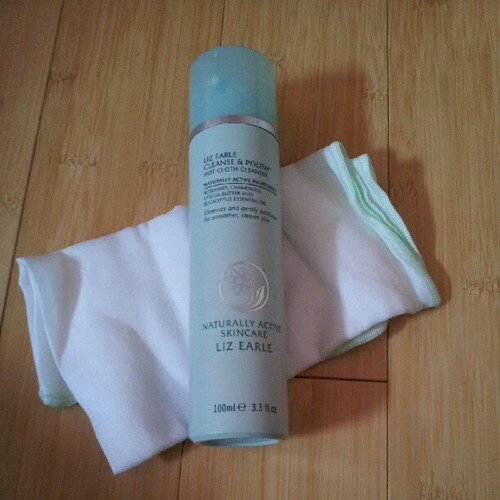 My favourite cleanser at the moment is the Liz Earle Hot Cloth Cleanser. This is a cult product, which I first discovered at the end of last year. I have quite sensitive skin, which if not looked after properly can really flare up. This cleanser is perfect as it is so gentle and it is extremely easy to use. All you have to do is massage the Liz Earle cleansing cream into your skin, leave it to work it's magic for 2 - 3 minutes, then remove it with the muslin cloth which is provided with your cleanser, soaked in luke warm water. The thing I love about the muslin cloth is that it also exfoliates your skin. When I purchased my Liz Earle Hot Cloth Cleanser there was a special price in place so I only paid £9.50, however the RRP is £14.25 for 100ml, which you can purchase here. I'll be honest here...toners aren't a product I am too fussed about. I'm just yet to find one that really lives up to it's claims. What I do find useful about them is they get rid of any remaining dirt and grime from the day, simply by wiping the product around my face and neck with a cotton pad. 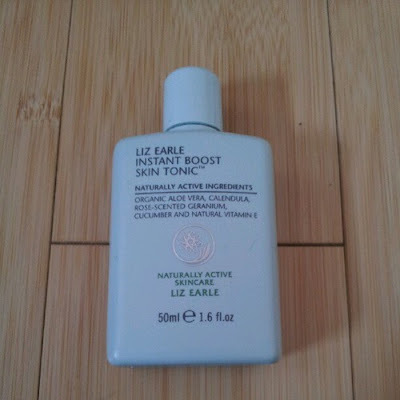 I'm currently using a free travel size sample of the Liz Earle Instant Boost Skin Tonic, which I received when I bought the Hot Cloth Cleanser. 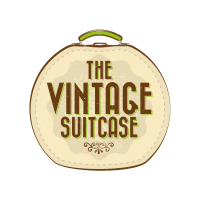 You can purchase the 200ml full size version of the product for £12.50 here. 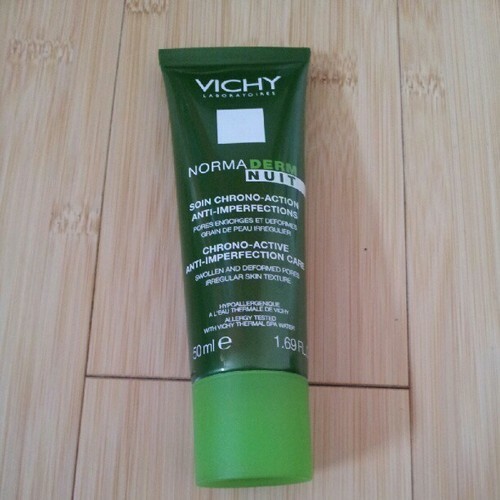 I'm currently using the Vichy Chrono Active Anti-Imperfection Night Cream. This product claims to work on your pores; unclogging them and reducing the appearence of them. I haven't been using this product enough yet to notice any dramatic changes, but what I do like about this product so far is how fresh it smells and how quickly it sinks into my skin, not leaving me with the risk of transferring any product onto my pillow. I bought this product from my local Boots store for around £12.00, for which you get a generous 50ml of product. A couple of nights a week (usually Wednesdays and Saturdays), just before bed I will apply the Origins Drink Up Intensive Overnight Mask, which I love! This is another cult product with the beauty bloggers, and for good reason! This stuff smells good enough to eat, and you literally wake up with glowing skin the morning after applying it, and it is so simple to use. Simply slather on a thick layer of the mask before bed on your face and neck, then that's your job done for the night! For 100ml it costs £20.00 for this product, which seems quite steep, but considering you only need to use it twice a week, and a little goes a long way, you really get your money's worth. Siobhan I am a nightmare when it comes to removing my make up. However after reading your review last night I went straight upstairs to cleanse and moisturise!! I love the sound of the Bioderma. 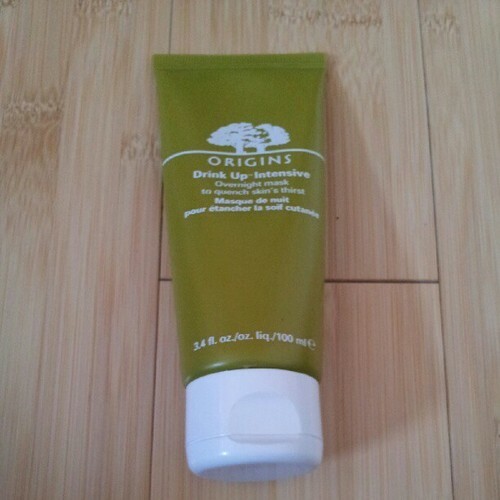 Very scientific and I love Origins so I may have to put the facemask on my Xmas list! I also want to try the Benefit pore mimimiser. Have you given it a go yet? That is really a good post. You made some really good points and I am grateful for your research. This information helps all of us to get rid from dark spots and skin problems. 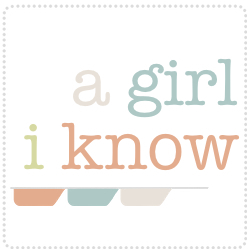 Guest Post - MUA trio!